To refill a cartridge you simply draw ink from a bottle into a syringe and inject it into the cartridge either through an existing hole or by making a hole. You then usually need to reseal the hole, and let the cartridge sit a few hours before reusing. Refill Tools - refill instructions, a syringe and needle, and other items depending on your specific cartridge. The tools are $4.95 and once you own them you never need to buy them again. Black Ink to refill your black cartridge. Color Ink to refill your color cartridge. All color printers have 3 colors which are used to create all the colors of the rainbow - they are cyan (blue), magenta (red), and yellow. These colors are kept in separate compartments until they are 'sprayed' on a sheet of paper while printing. Unless there's something unusual about the way you use your printer (i.e. you only print in blue, etc. ), you should order all three colors to refill your color cartridge. Photo Ink - some printers have 'photo cartridges' which are used for the fine color detail needed to print photographs. Most basic printers don't use photo inks, but if yours does you'll want to order ink for it. 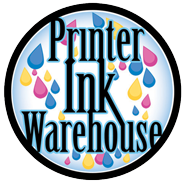 Different manufacturers use different combinations of photo inks in their cartridges. Again, you'll probably want to order all the colors for your photo cartridge if your printer uses photo cartridges. If you don't already have refill tools/instructions from previously refilling your cartridge, add the refill tools to your cart from the box at the top. The refill tools and instructions you'll receive will cover all the ink (black, color and/or photo) ordered from that page. Black ink - choose the ink bottle size from the drop down box based on the number of refills that you want and add the ink to your cart. The number of refills is shown for each bottle size. If more than one kind of black cartridge is listed, select the ink for the cartridge that's in your printer (Hint: the cartridge # is listed on the cartridge itself). Color ink - choose the ink bottle size from the drop down box based on the number of refills that you want. Unless something is unusual about your printing you'll want to choose "all three colors" which will give one bottle of each color (the price will be three times the price of just one bottle) and add the ink to your cart. If your printer has a photo cartridge repeat the ink ordering process for your photo cartridge. The web page will let you know which colors are in your photo cartridge. Again, you'll probably want to "order all colors". These items are optional - the cartridge tape strips help keep the cartridge from drying out while it's being stored, the printhead cleaner helps clean the printhead if it is really clogged by dried-on ink, and the hand cleaner is great at removing ink-stains from your hands. The first time you refill you'll probably be a little messy, but when you refill your cartridge for the second or third time you'll probably be able to do it without spilling a drop. Click on 'View Cart', and make sure that your order is complete. When you're satisfied, click on the 'Check-Out' button to proceed to our Secure Server to purchase your order. We accept Visa, Master Card, American Express, Discover, or you can use PayPal, write us an OnLine check direct from your checking account, or mail us a check or money order. We also accept purchase orders from government instutitions and major businesses.